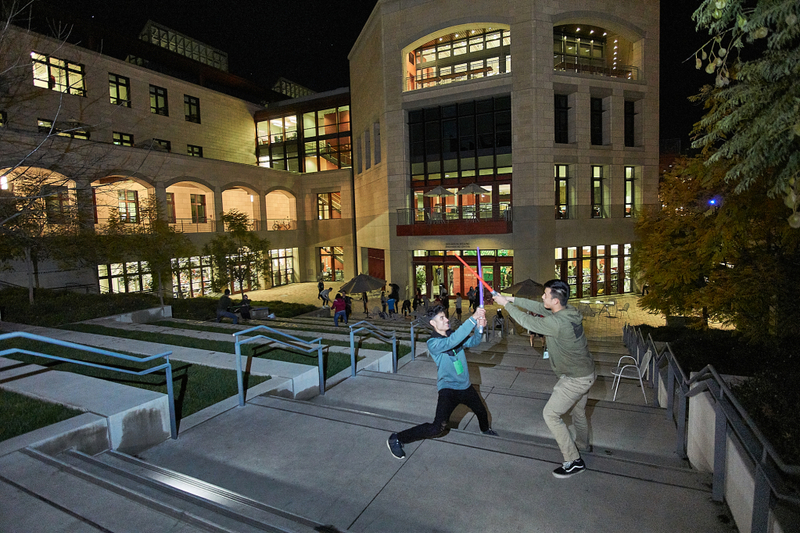 Every Friday, the campus of Stanford University undergoes an energetic transformation. Faculty and staff head home for the weekend. Students retreat to their dorms and dining halls. Academic buildings empty as the the campus recovers from the busy week and catches its collective breath. But this wasn’t a typical Friday. 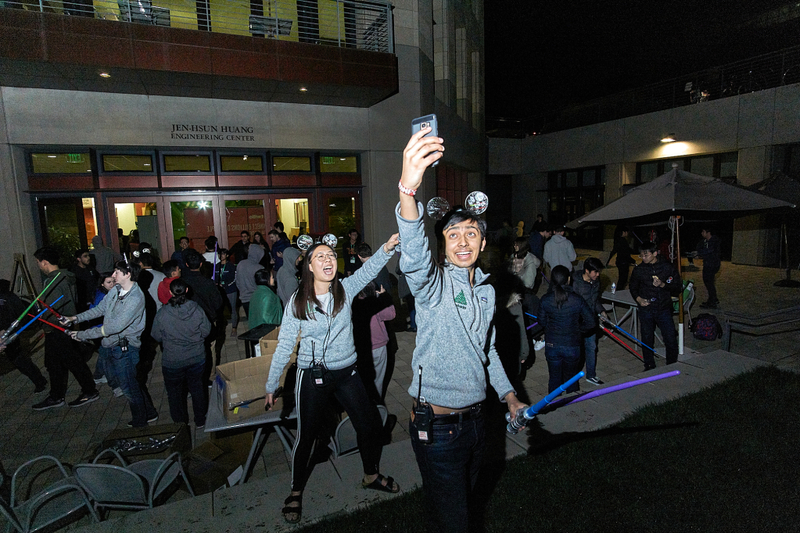 Stanford cheerleaders and marching band entertain students outside TreeHacks 2019. 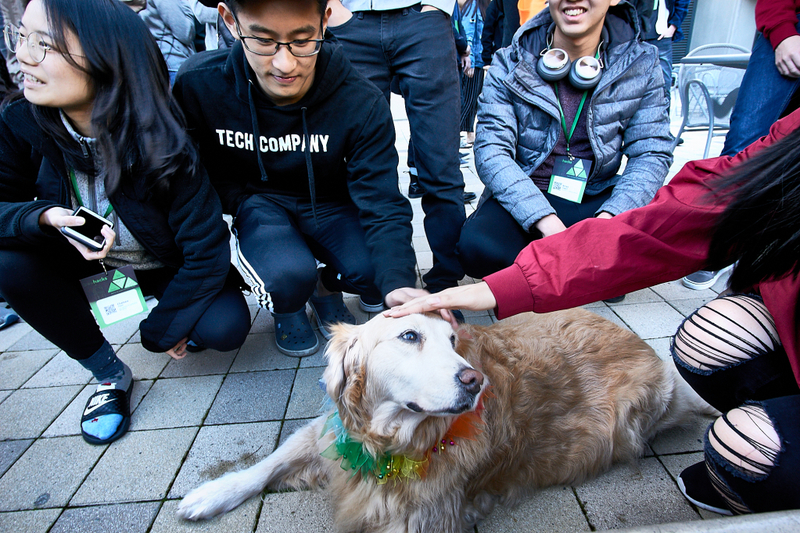 Instead, on this rainy February evening more than 1,200 students from colleges and universities around the world arrived on campus for TreeHacks – the largest collegiate hackathon held each year in Silicon Valley. 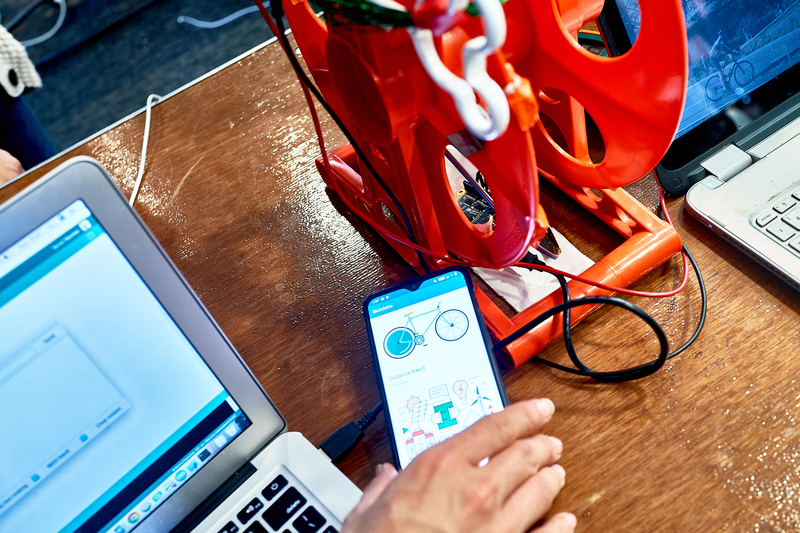 The term hackathon comes from a mash-up of the words hack and marathon. Hack, referring, to exploratory computer programing, and marathon, referring to a race. 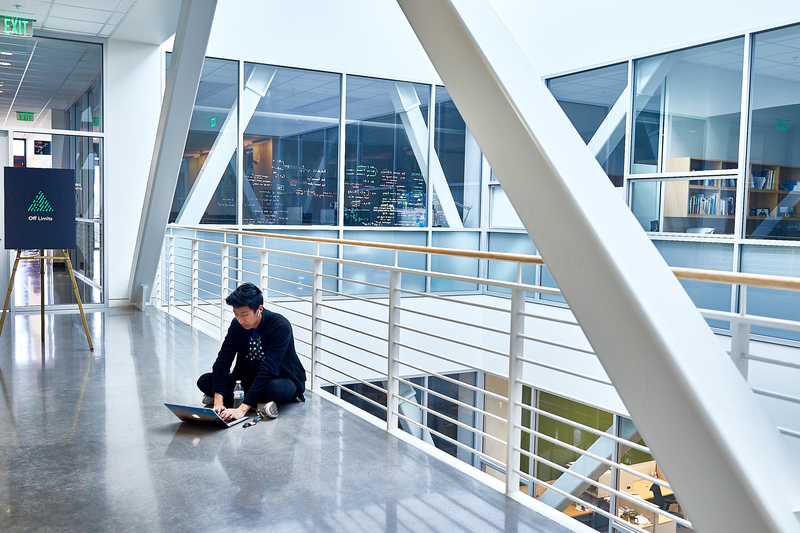 The purpose of a hackathon is to create the hyper-focused, creative environment that produces the technical innovation and products that Silicon Valley is known for. If that sounds like trying to catch lightning in a bottle, that’s exactly what it is. 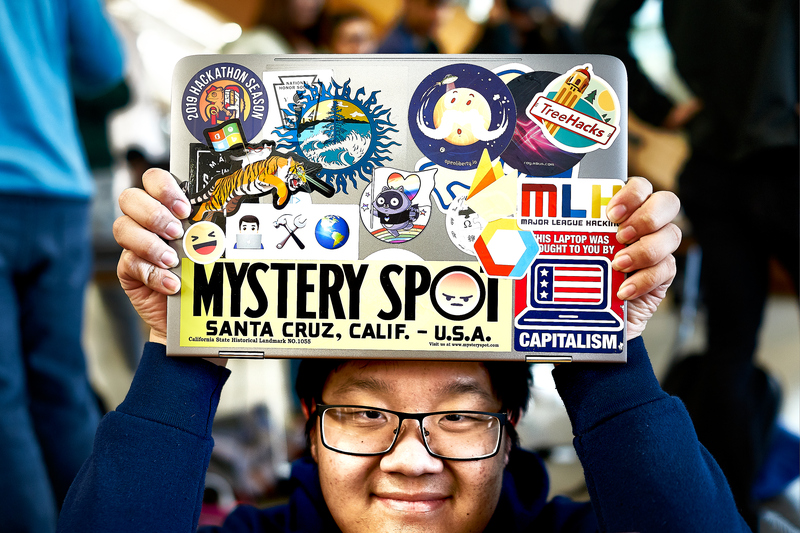 A student displays his laptop sticker collection at TreeHacks 2019. Hackathons first appeared in the 2000’s at technology conferences when they became a popular way for entrepreneurs to get noticed by venture capitalists. You wouldn’t be wrong to think of them as the tech industry’s very own version of American Idol. 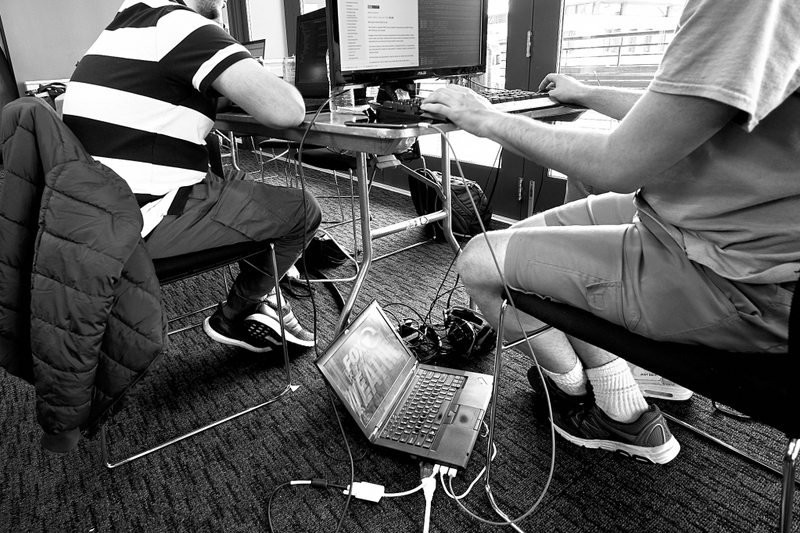 Over time, hackathons have grown in popularity. For instance Fortune 500 corporations (often slow to adopt new technology trends) have held in-house hackathons to re-ignite their research and development efforts. The Seattle Police Department used a hackathon to develop new ways to redact dashboard/body cam footage. Even the Vatican has its own hackathon. 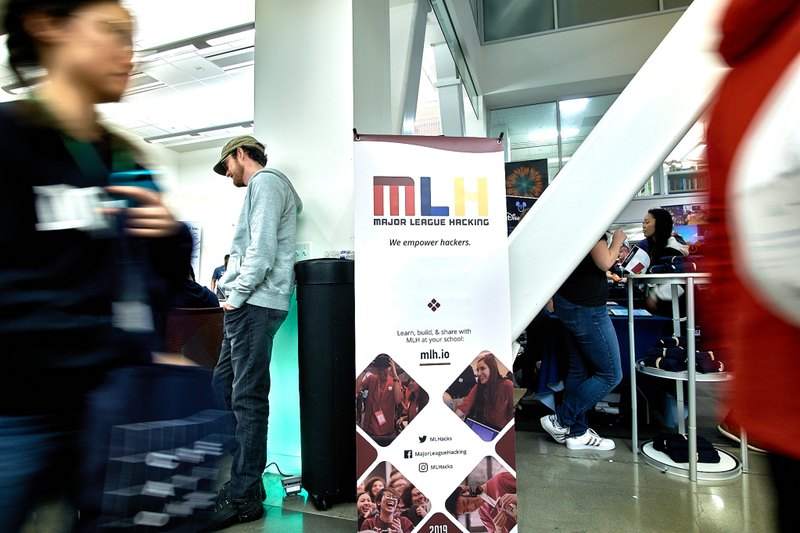 Founded in 2013, Major League Hacking provides support and services to over 200 student-run hackathons each year. 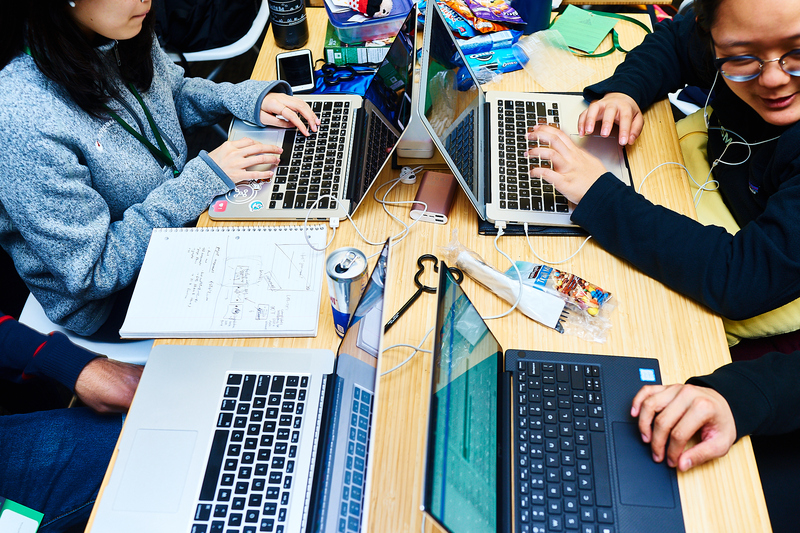 While hackathons have been grabbing headlines, the more interesting story is how they quietly took root at college campuses around the world. 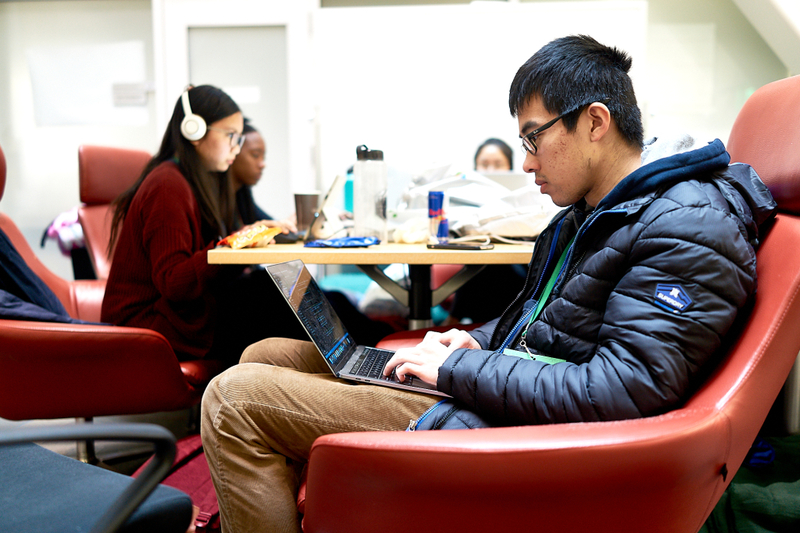 Over the past decade, hundreds of collegiate hackathons have popped up catering to students interested in STEM disciplines such as computer science, electrical engineering, biology, and mathematics. 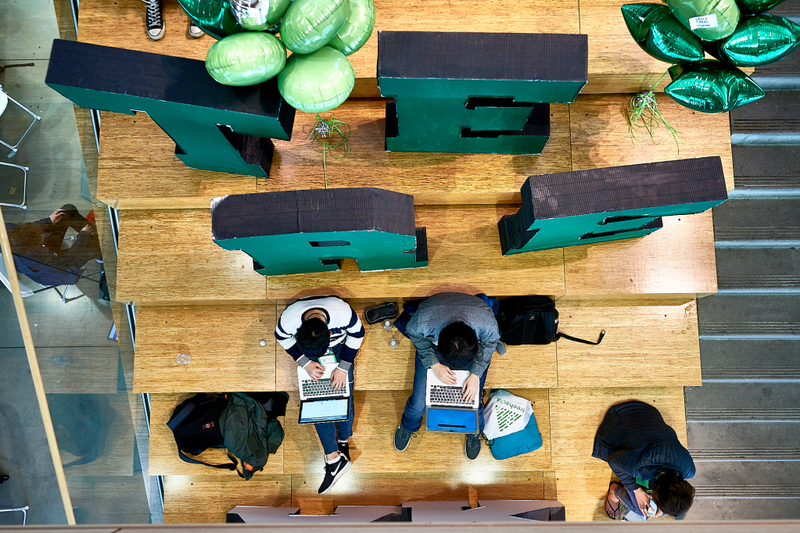 For the most part, these hackathons have been grassroots efforts organized by student volunteers in their spare time. More recently, organizers have started to receive professional support. 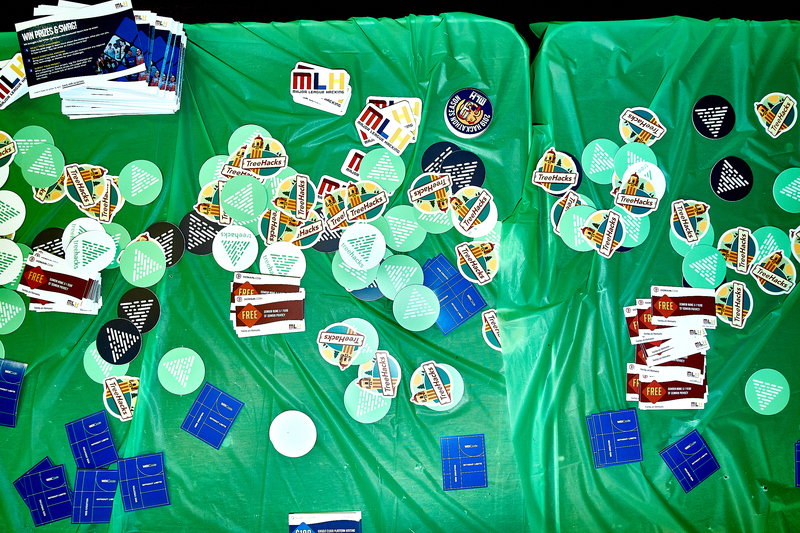 Stickers and coupons provided to students by sponsors of TreeHacks 2019. 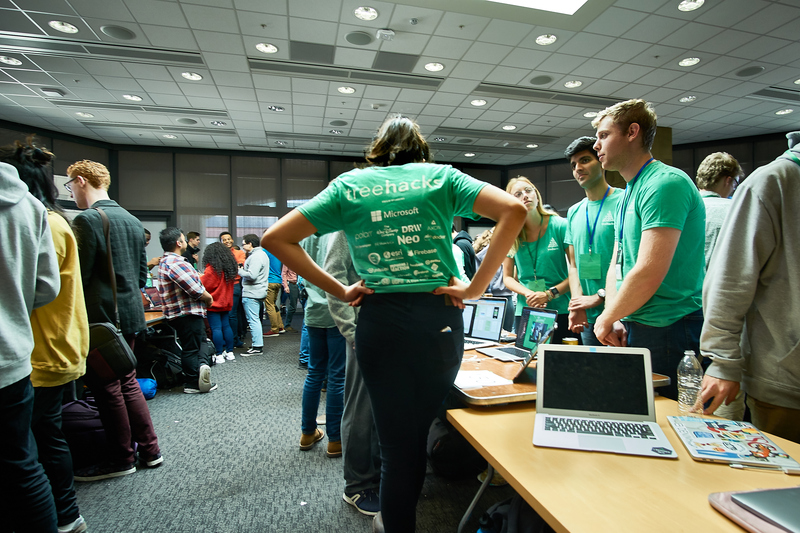 Founded in 2013, an organization called Major League Hacking (MLH) stepped in to provide collegiate hackathon organizers with a wide range of services from sponsorships and social media promotion to the ceremonial metals for the winning students. 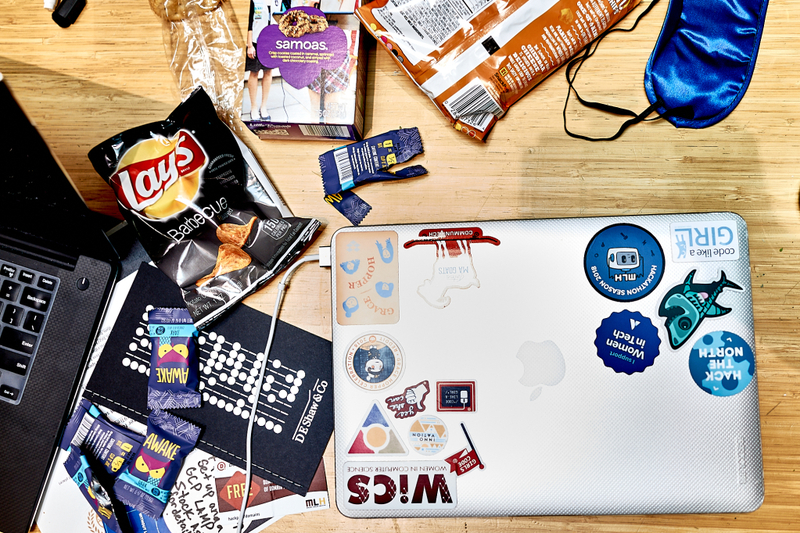 The sponsorships enabled student hackathons to greatly increase in size while still remaining free to attend. 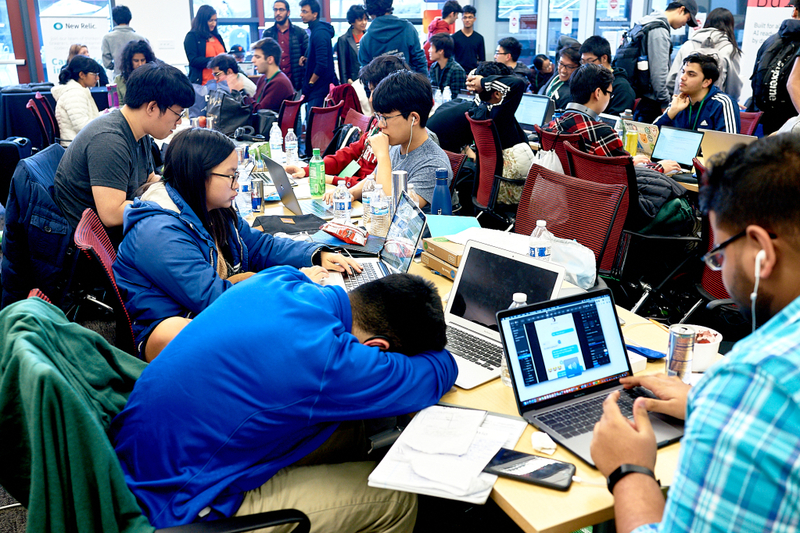 Over 200 collegiate hackathons now participate in the MLH “league” amounting to over 65,000 participants, many of whom attend multiple events throughout the hackathon “season”. Not just anyone can show up at a hackathon. 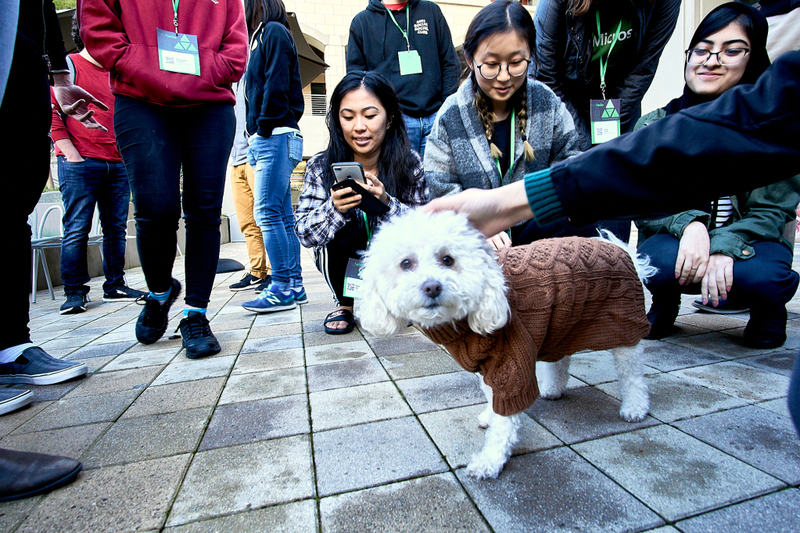 This year at TreeHacks (which is named after Stanford’s unofficial Redwood tree mascot), organizers sifted through thousands of applicants in order to assemble a diverse mix of participants. Specifically, they sought students with different levels of hacking experience while also maintaining a fifty-fifty male to female & non-binary gender ratio. 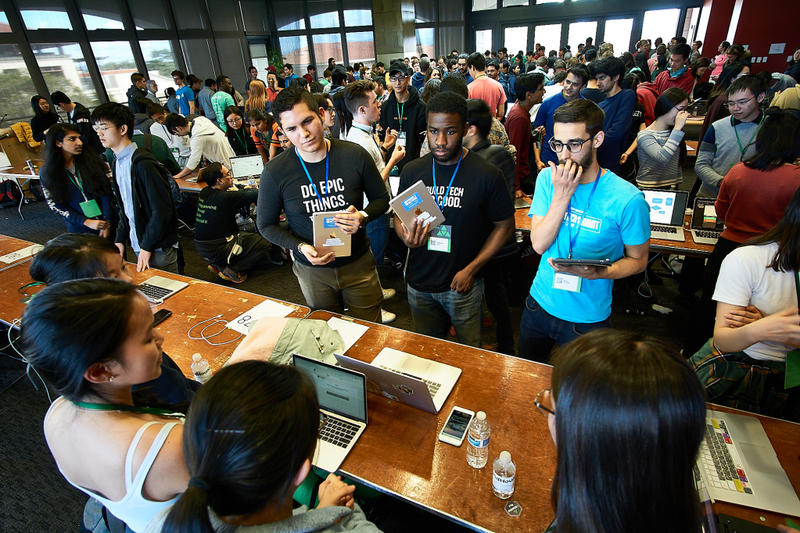 The chosen hackers were then invited to Stanford University for the February hackathon where they would have 36 hours to invent hacks that might become the next big idea in one of three categories: health, safety, or awareness. Before the actual hacking began, students organized into teams. While some groups of students attended as part of preformed team, most found their teammates right before the clock began ticking. This chaotic process resembled a kind of “technical speed dating”. 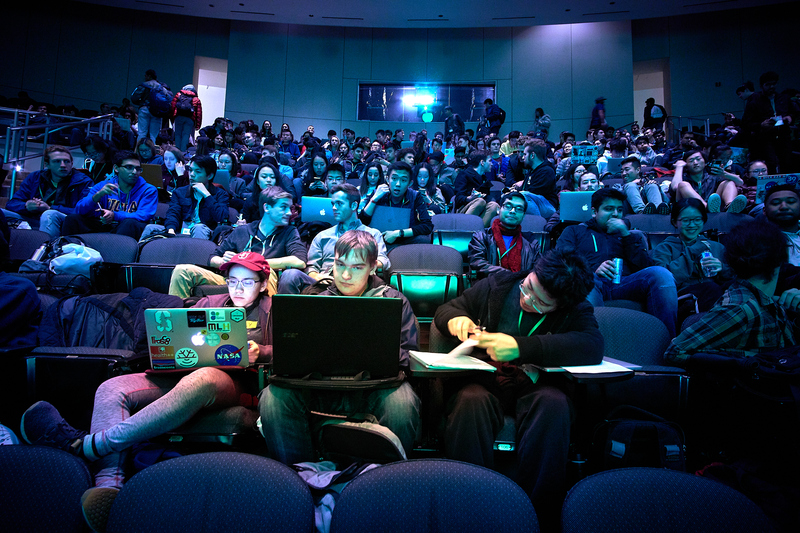 Hundreds of students piled into a lecture hall where organizers acted as hubs for particular hacking categories. 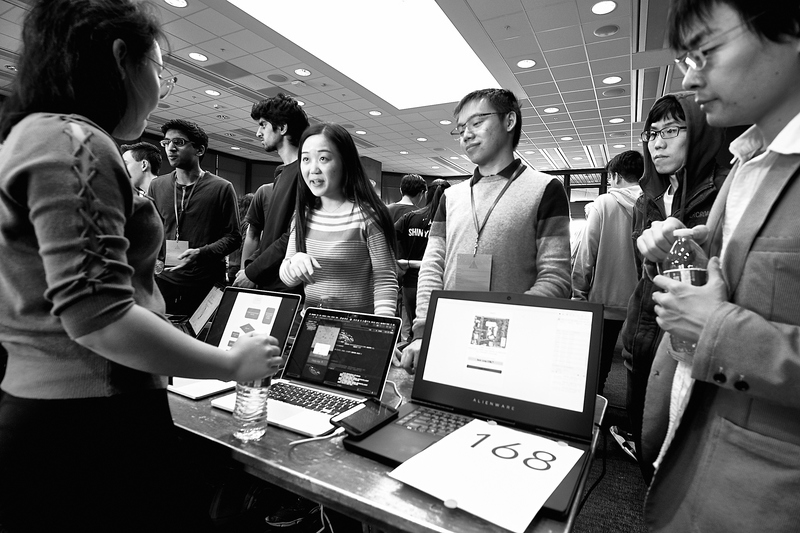 Students mingled, revealing their skills (“I can code”, “I’m an electrical engineering major”, etc.). 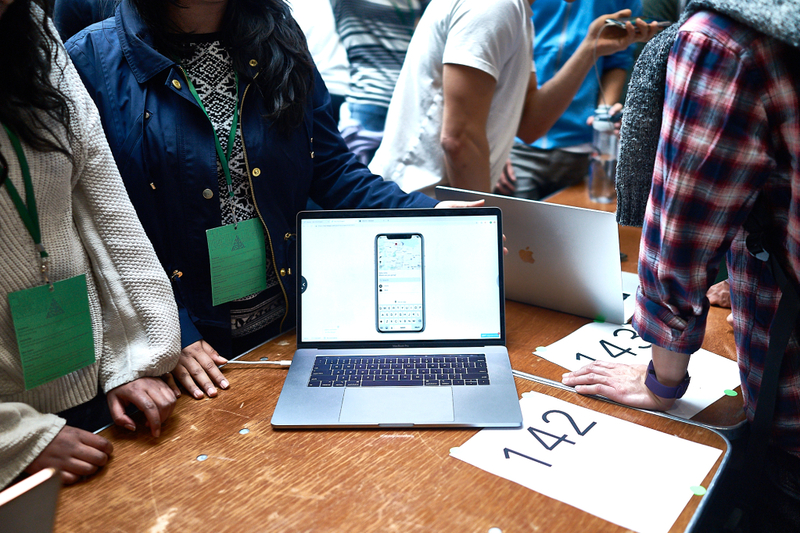 Teams began to form and then siphon off to setup their workstations. Forty-five minutes later the lecture hall was empty. A hacker examines the lego encased computer created by Google co-founders Sergey Brin and Larry Page (pictured) while the two were students at Stanford University. 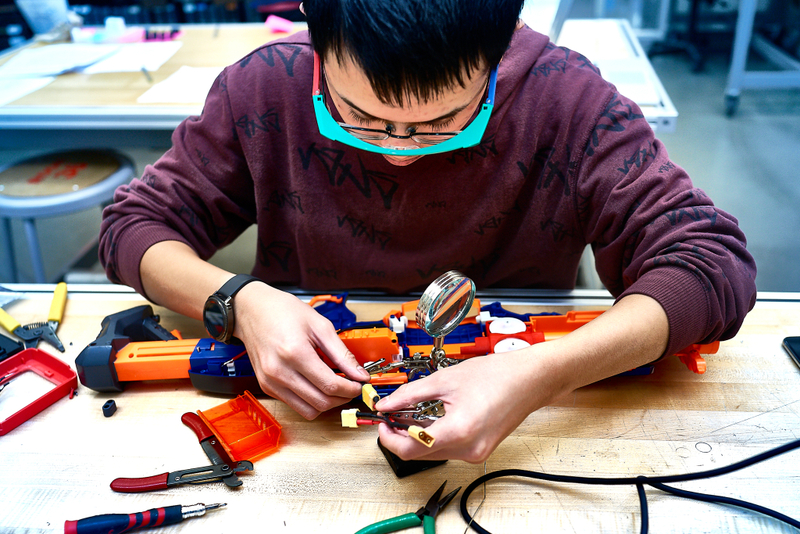 For the next day and half, the hackers occupied Stanford’s Huang Engineering Center. “The Huang”, as students refer to it, is a modern maze of classrooms, common areas, and lounges that easily absorbed the hackers. 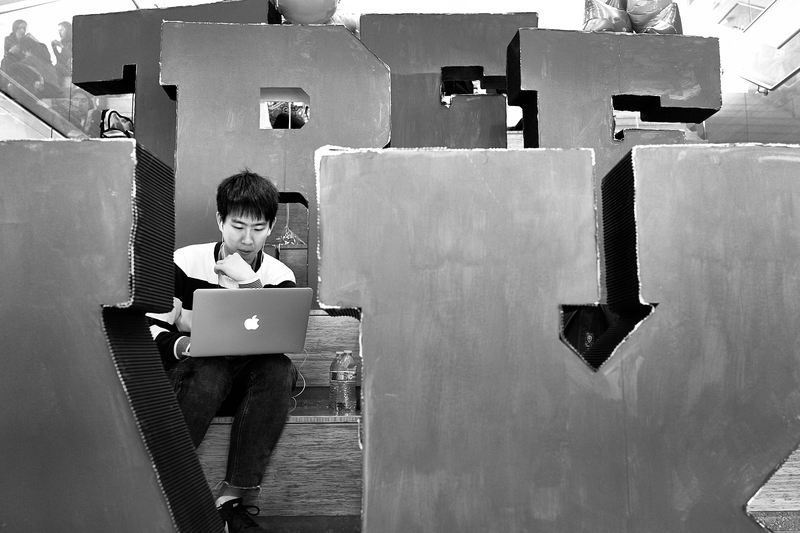 Scattered throughout The Huang are exhibits of Stanford’s iconic contributions to Silicon Valley engineering history, which made the perfect backdrop for a hackathon. 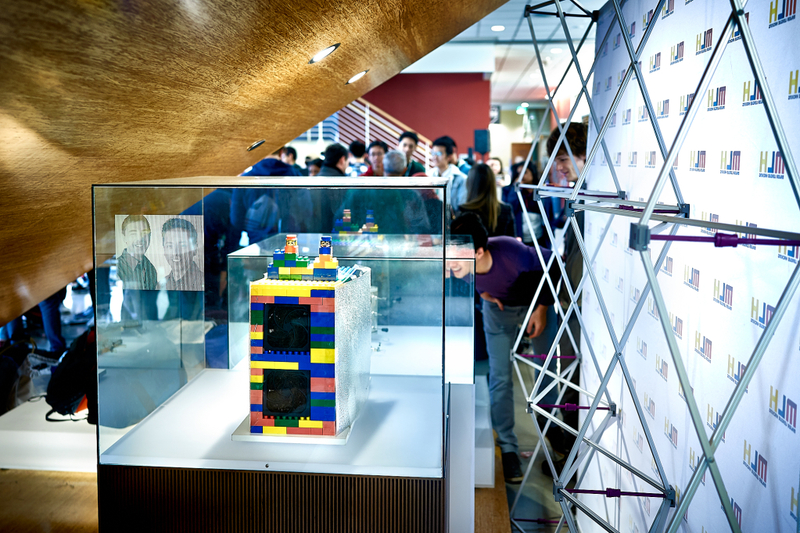 For instance, some students found themselves working next to the now famous Lego-encased computer hacked together by Stanford grads, Sergey Brin and Larry Page (used to test the algorithm that would later power their Google search engine). 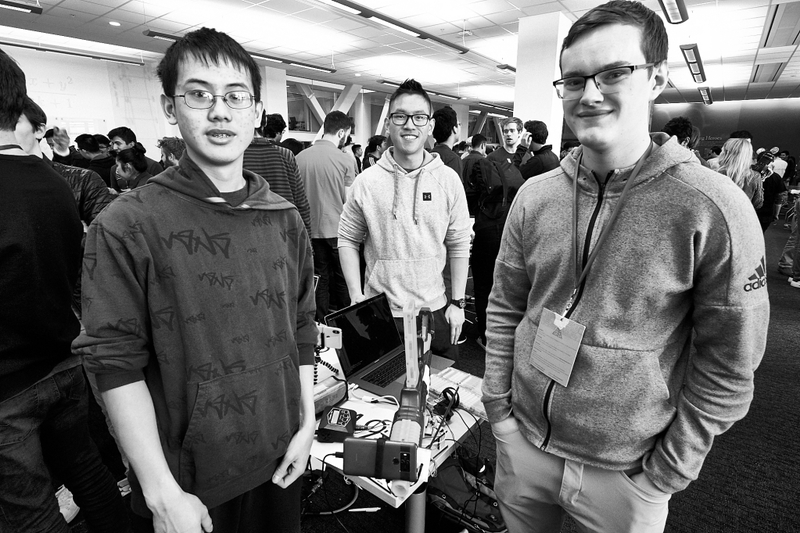 A team of hackers and their workstations at TreeHacks 2019. 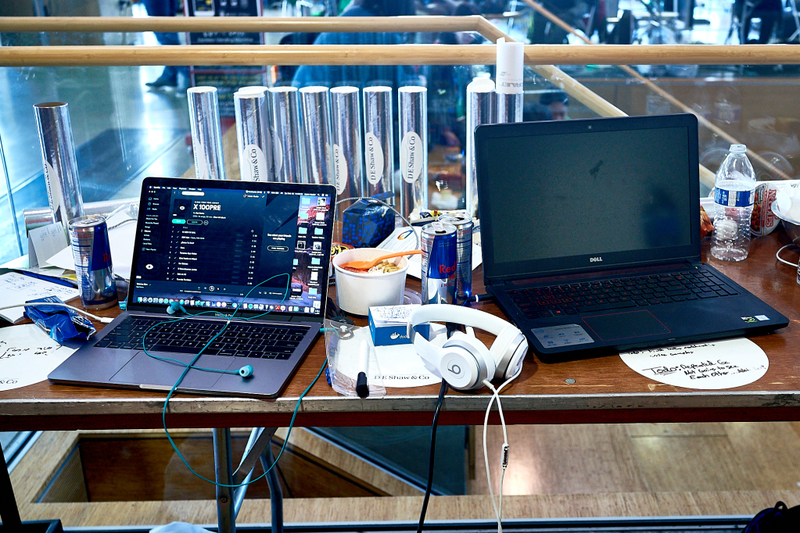 Teams set up their workstations all over The Huang. Some worked at long rows of desks in the lecture halls. Others eschewed desks, opting to stretch out on the coveted chairs and sofas found in the building’s lounges. Still others, spread out on the floor, sometimes resting on inflatable mattresses brought for the occasion. 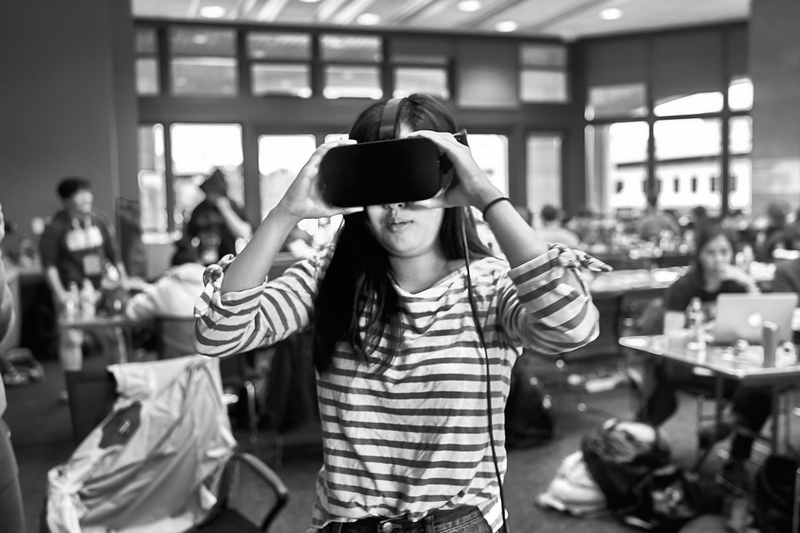 A student with virtual reality goggles used in her project at the TreeHacks hackathon. 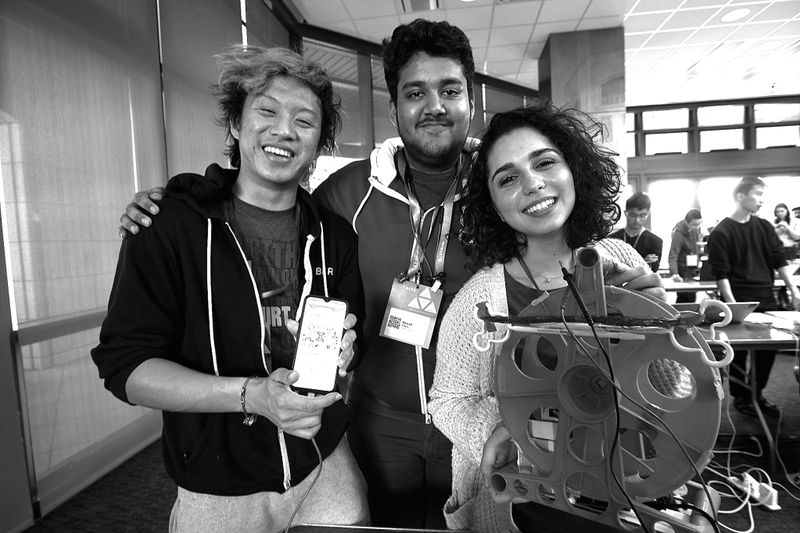 One of the remarkable things about TreeHacks is the breadth of resources made available to the hackers. 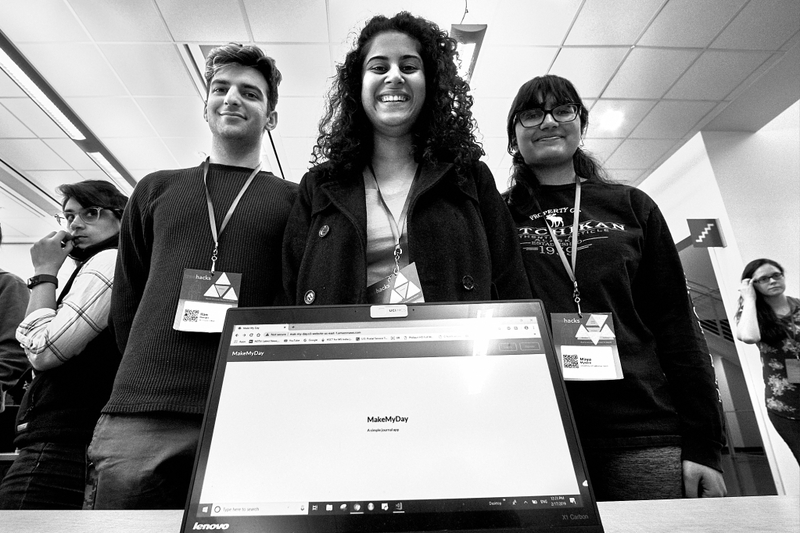 Everything from open source software to crates of hardware such as Amazon Alexas, VR headsets and sensors were freely available for teams to use in their hacks. 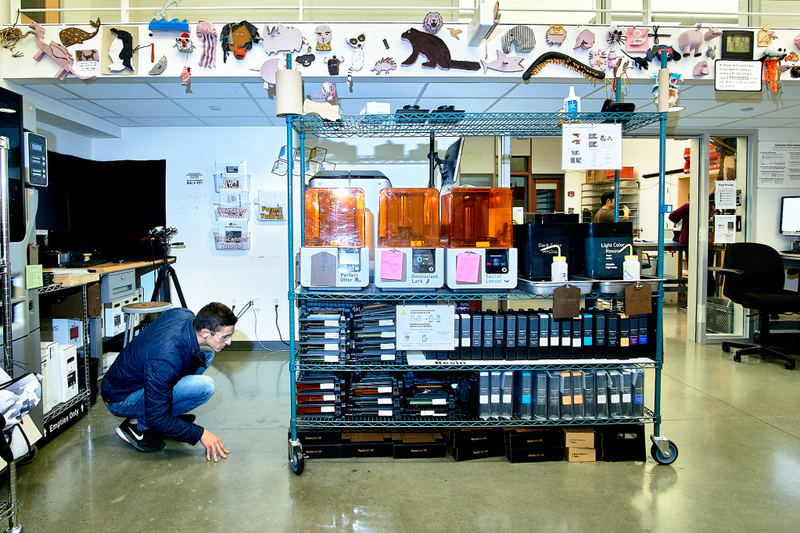 The hackers also had access to Stanford’s Product Realization Lab — a state of the art “makers” workshop full of 3D printers, welding stations, and machine tools. And finally, if a team ran into an obstacle, they could call on subject-matter mentors standing by to lend a hand. 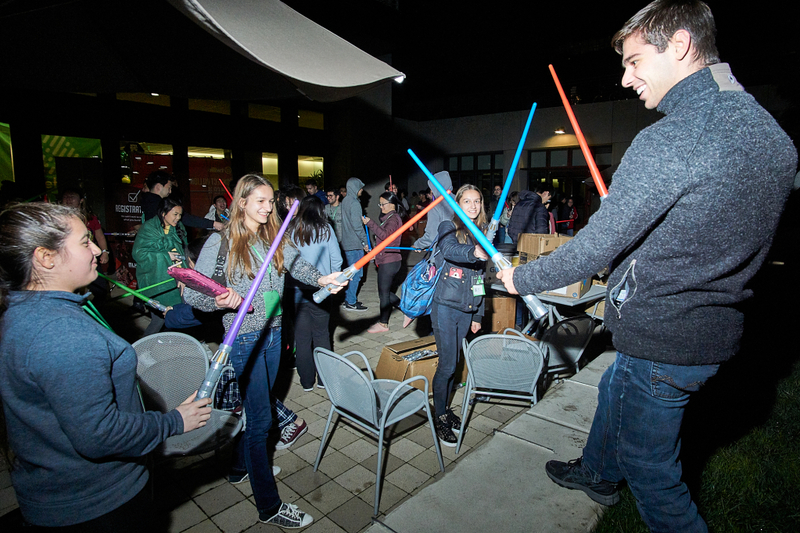 A midnight lightsaber battle erupts at the TreeHacks hackathon. Competing in close quarters for 36 hours, with little to no sleep, is not a low stress situation. 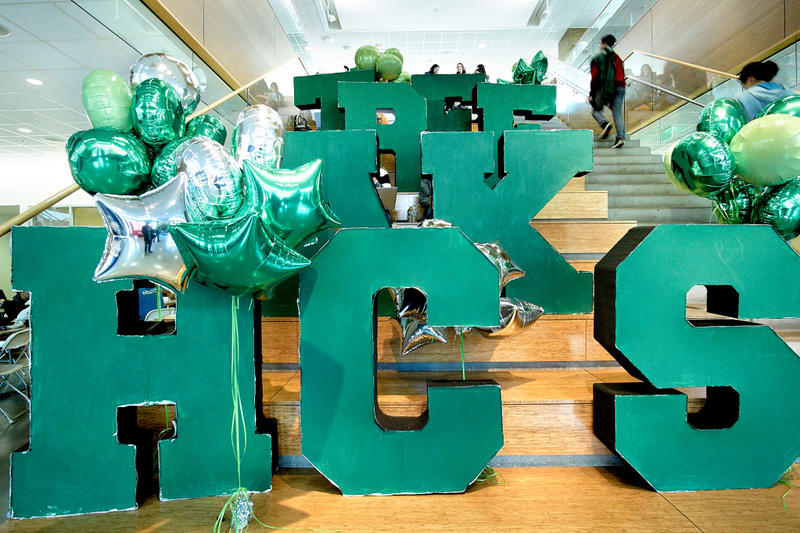 Knowing this, TreeHacks organizers arranged a number of activities designed to help students blow off steam. 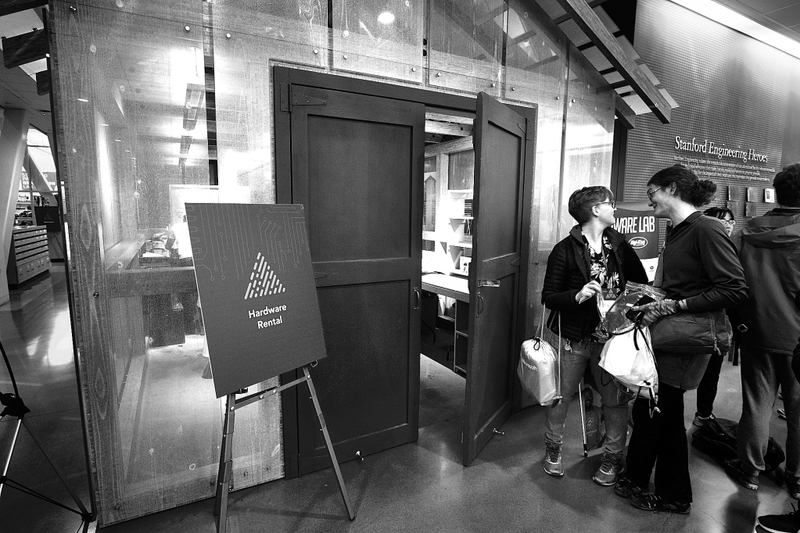 The Red Bull “Escape Room” at TreeHacks 2019. 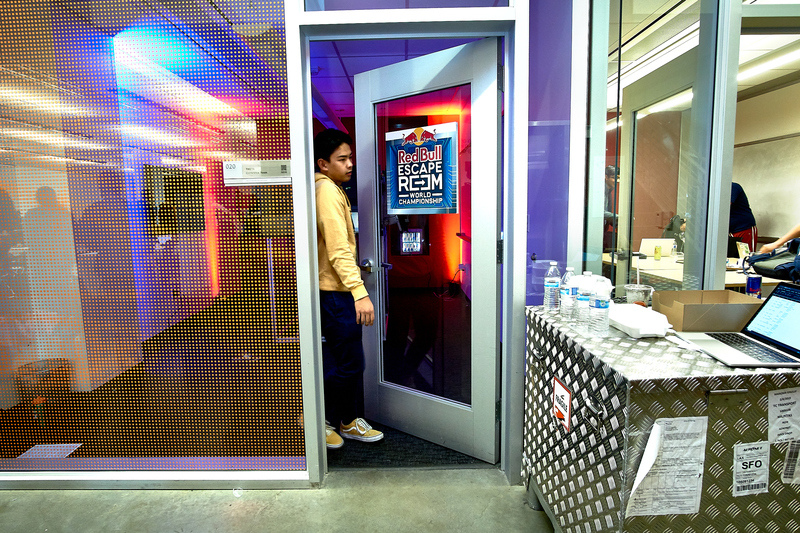 One of the most popular activities was the “Red Bull Escape Room” where students had to solve puzzles and challenges to escape. 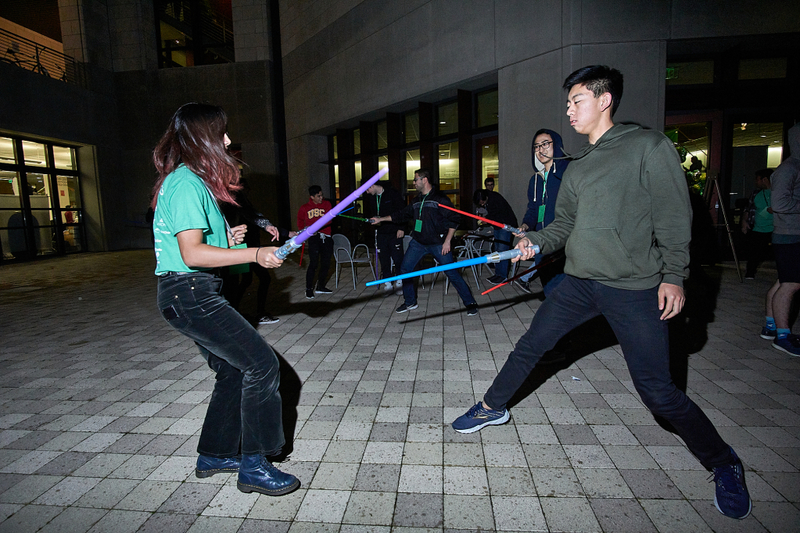 There was also a midnight lightsaber battle sponsored by Disney. 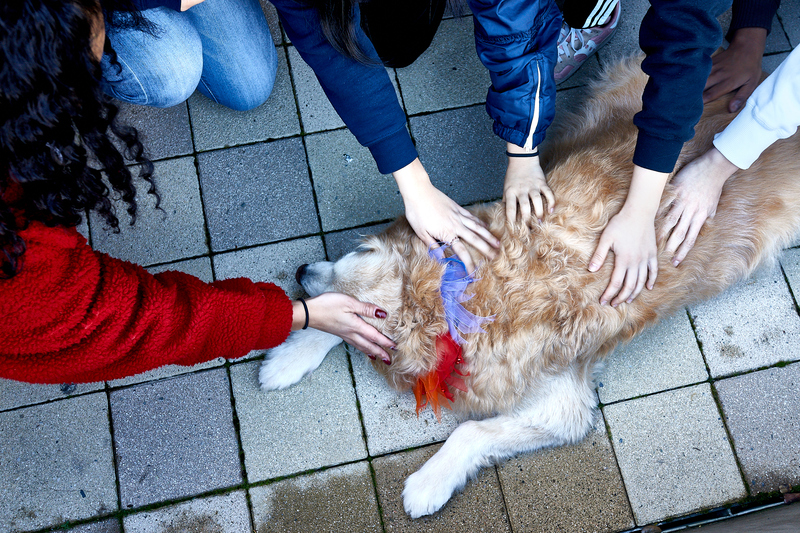 For those who didn’t find relief with lightsabers and puzzles, there was also puppy petting. I think it’s safe to say that hacking is always better with puppies. 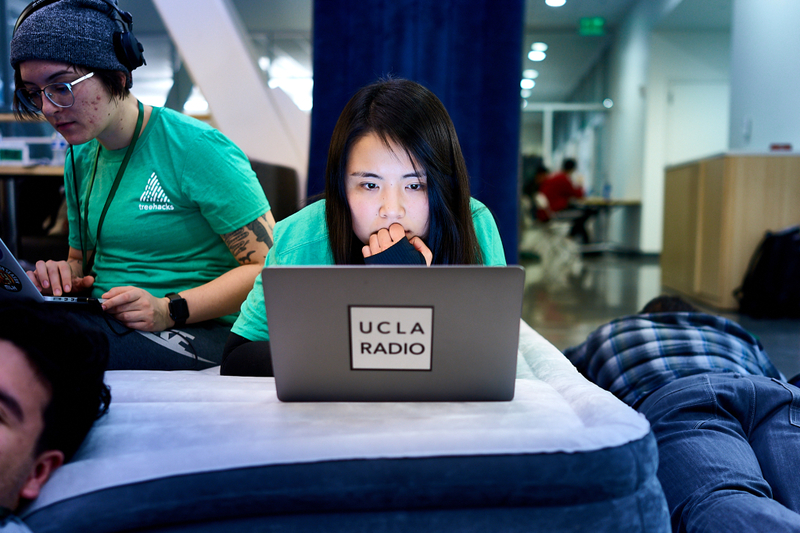 Students take turns sleeping during the TreeHacks hackathon. At some point, every entrepreneur faces the same dilemma – continue working or get some sleep? The obvious answer is that a little sleep can increase productivity, but the calculus of sleep is more complex when the stakes are high. 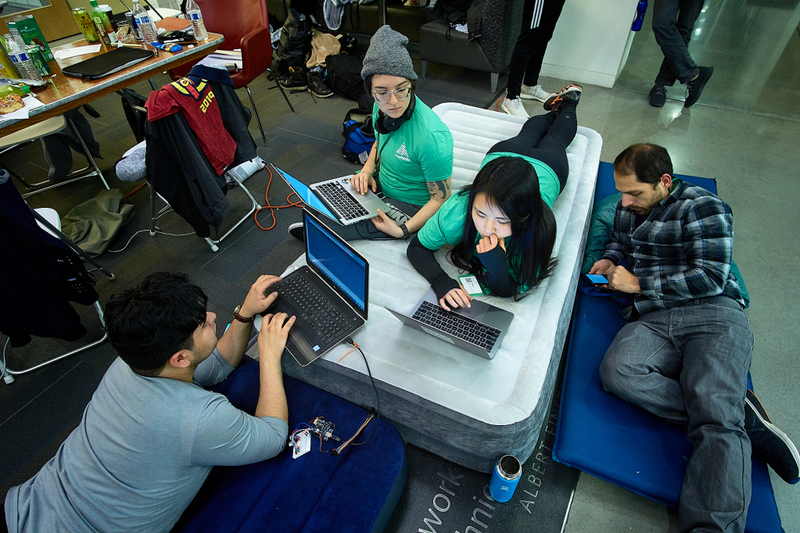 Solving the sleep equation is a big part of participating in hackathons like TreeHacks. 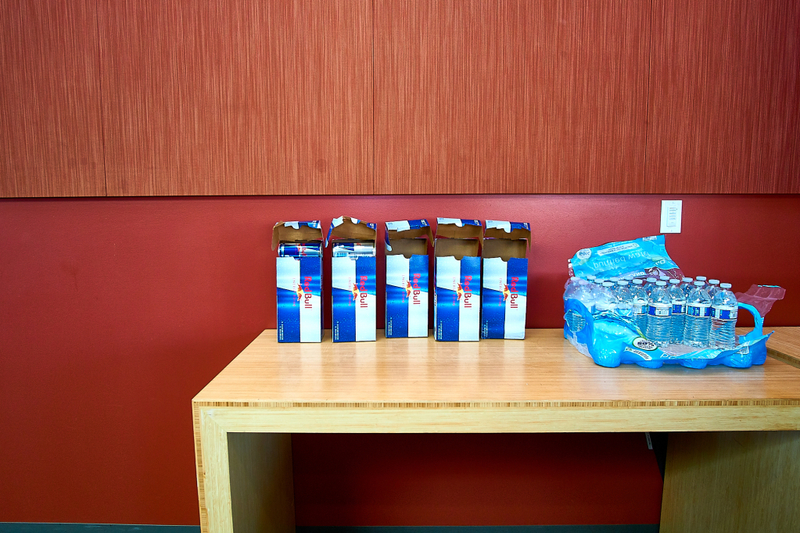 While the organizers did an impressive job of placing caffeinated snacks and Red Bull (a sponsor of the event) around every corner, the students themselves had to decide when to sleep… if at all. At the end of the 36 hours, it was time for students to show their work. 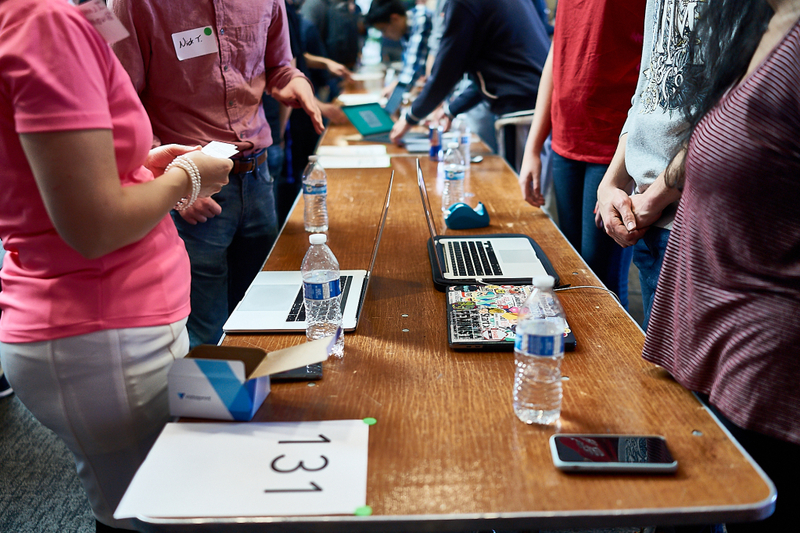 Each team was assigned a number and lined up to demo their hacks to the judges and fellow hackers. Up for grabs was over $100,000 in prizes awarded to the best hacks in each category as well as for special achievements such as: “best beginner hack”, “most impactful contribution to open source” and “best hack that uses open public safety data”. I was personally struck by the sophistication and polish that some of the teams displayed while delivering their elevator pitches. It was easy to see how after a few more hackathons, some of these teams might look and sound a lot like the startup founders I see gliding in and out of venture capitalists’ offices on nearby Sand Hill Road.